This is a US acetate copy of the standard Phil Spector mix as released. It was auctioned on eBay in late Feb. 2005. 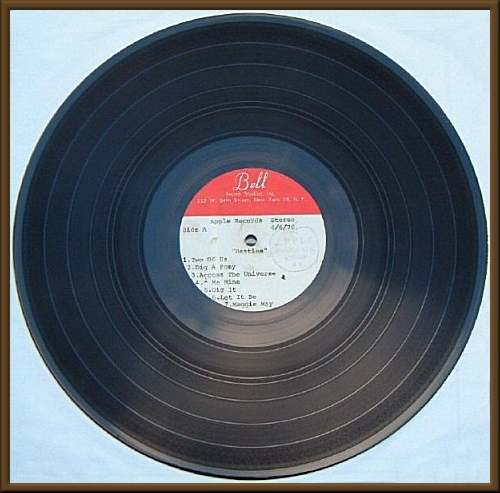 An extremely rare Beatles Acetate pressing of their album "Let it Be". To test the condition of this acetate pressing we have played it only once over. It Plays without any skips or jumps nor does any part of the record stick, even though there are surface and scratch marks. However track 6 on Side A plays with surface noise. Tracks 3, 4 and 5 on side B also play with surface noise. The rest of the tracks play really well. 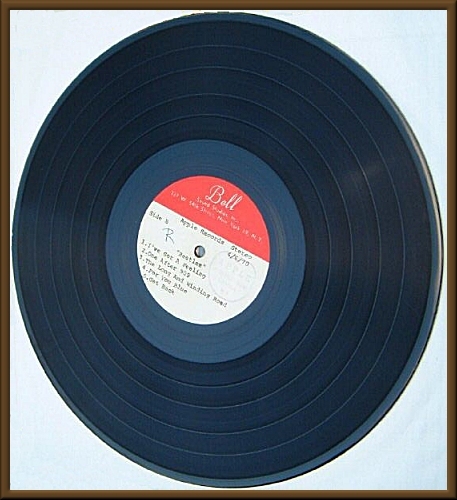 Having said that, it should be noted that acetates are not meant to be played like a normal record, They would have been made to check out the recording quality and sound levels of the record. As a result only one, or two at the very most would have been made. Needless to say, they are extremely rare especially "The Beatles" Acetates. 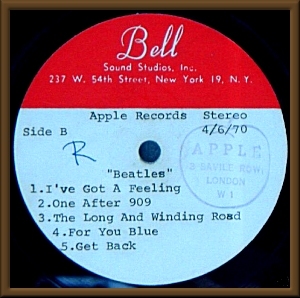 This particular acetate is a U.S. pressing made by the Bell Sound Studios, Inc. It feels like an acetate should feel quite heavy. This acetate has been professionally cleaned. The Acetate bears the APPLE logo stamp on both sides of the label. As Far as we ascertain, there is no matrix numbers. This acetate is in very good condition. The Label and spindle itself is totally intact and in near Mint Condition. Due to the fragility and value of this item we insist that it is posted via Special Delivery with full insurance at it's final bid value against loss or damage. 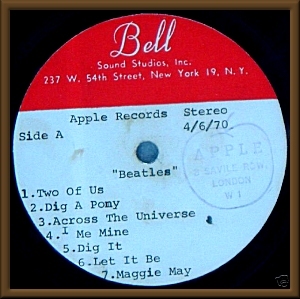 LABEL: APPLE Records. BELL SOUND STUDIOS, INC. CONDITION: Acetate is in very good condition. The Label and spindle itself is totally intact and in near Mint Condition.